Al-Qurʾān from Koran, Walters Art Museum Ms. W.853.II, fol.1b, originally uploaded by Walters Art Museum Illuminated Manuscripts. This manuscripts is volume two (chapters 19-114) of a decorated two-volume set of the Koran (Qur'an) produced in sub-Saharan (West) Africa in the 13th century AH / 19th CE. 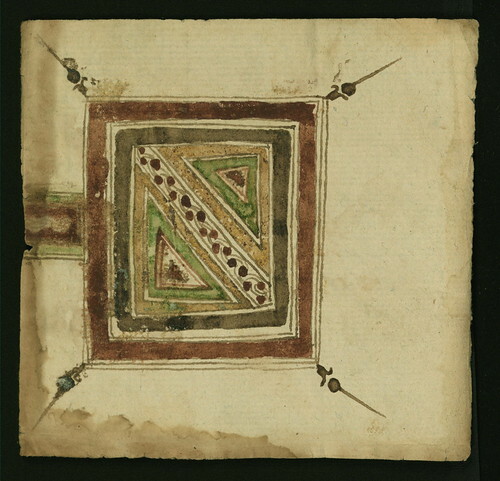 Written in Sūdānī script on loose leaves, this manuscript is enclosed in two decorated covers and a leather pouch (satchel).